The AGILE satellite is observing the \(\gamma \)-ray sky since its launch on April 23, 2007. Several important discoveries have been made in Galactic and extragalactic astrophysics starting from its observations above 50 MeV. In this work, I reviewed the most important findings in the study of \(\gamma \)-ray emitting Galactic binary systems: the first detection above 100 MeV of Cygnus X-1, the discovery of \(\gamma \)-ray transient emission from Cygnus X-3, the first observation of a colliding wind binary in \(\gamma \) rays. The AGILE continuous monitoring of the \(\gamma \)-ray sky is a fundamental ingredient to investigate the non-thermal emission from these sources, the disk-jet coupling, the limit of relativistic particle acceleration in the jet, the origin of the high-energy \(\gamma \)-ray radiation. 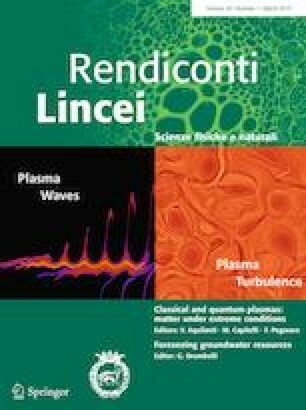 This paper is the peer-reviewed version of a contribution selected among those presented at the Conference on Gamma-Ray Astrophysics with the AGILE Satellite held at Accademia Nazionale dei Lincei and Agenzia Spaziale Italiana, Rome on December 11–13, 2017. Research partially supported by the ASI Grant no. I/028/12/5 and the INAF PRIN SKA-CTA: “Towards the SKA and CTA: discovery, localization and physics of transients”.